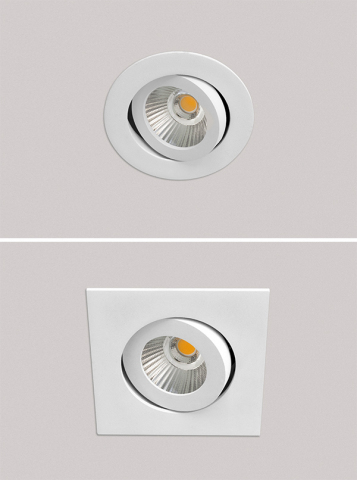 Seoul Semiconductor, a global innovator of LED products and technology, announced that its SunLike Series natural spectrum LEDs, which implement light closest to the spectrum of natural sunlight, has been adopted for luminaires from ESSENZIALED, including the Spottone and Mood Series luminaires. SunLike Series natural spectrum LEDs were co-developed by Seoul Semiconductor and Toshiba Materials. The combination of Seoul Semiconductor’s optical semiconductor technology and Toshiba Materials’ TRI-R Technology produces light that closely matches the spectrum of natural sunlight. TRI-R is a registered trademark of Toshiba Material Co., Ltd.
ESSENZIALED LED Lighting designs and produces LED lighting systems from custom designs made in Italy. ESSENZIALED is a trademark with thirty years of experience in electronics to create light shapes with the most advanced LED technology and a special focus on design, light quality, and customization. The use of the latest generation of materials and the constant search for more efficient solutions enables the company to provide a wide range of products that meet multiple lighting and aesthetic needs. Thanks to a specialized team, ESSENZIALED is able to follow the customer from the lighting design projects to the supply of custom lighting products. Made in Italy, ESSENZIALED features installation consultancy that interfaces with architects, designers and system engineers to develop innovative technologies and craftsmanship to create creative and flexible lighting devices suited to any type of environment, including shops, jewelers, hotels, homes, and offices. ESSENZIALED delivers the creativity that gives birth to new forms of light with emotion and invention. Focusing on energy-saving design ideas, ESSENZIALED has developed a products that combine innovative technologies and artisan vocation, available in single pieces or limited edition products. Each project by ESSENZIALED includes global customer support and constant consulting with lighting designers, architects and interior designers. ESSENZIALED provides solutions for every aspect of the lighting projects, from lighting to electronics, from system management to decorative design, to installation.